The A6M is usually known as the “Zero” from its Japanese Navy type designation, Type 0 Carrier Fighter (Rei shiki Kanjō sentōki, 零式艦上戦闘機), taken from the last digit of the Imperial year 2600 (1940), when it entered service. In Japan, it was unofficially referred to as both Rei-sen and Zero-sen; Japanese pilots most commonly called it Zero-sen, where sen is the first syllable of sentoki, Japanese for “fighter. Maximum speed of 270 kt (488 km/h) @ 4,000 m.
Climbing speed of 3,000 m in 9 min 30 sec. Endurance of 1.5 to 2 hours on internal fuel at normal rated power. Endurance of 6 to 8 hours at economical speed with external drop tanks. Armament of two 20 mm cannon and two 7.7 mm machine guns. Provisions for two 60 kg bombs. Provision for full radio and direction finder. Take-off run less than 70 m with a 27 knot headwind. Nakajima took a long and hard look at the specification and politely bowed out. But Mitsubishi asked their chief designer Jiro Horikoshi to have a look at the requirements. He concluded the only way to meet this specification was by making the aircraft as light as possible. Mitsubishi submitted a proposal; the Navy ordered two prototypes and Horikoshi started work. He decided to use Sumitomo’s stronger and lighter 7075 Extra Super Duralumin alloy (still top-secret at that time). To save as much weight as possible he decided not to provide armor for the pilot and engine and not to use self-sealing fuel tanks. This made the Zero lighter, more manoeuvrable, and the longest range single engine fighter of WWII. It was capable of searching out an enemy hundreds of miles away, bringing them to battle, then returning hundreds of kilometers back to its base or aircraft carrier.Early in the war, the Zero outclassed any Allied fighter it encountered. According to American flying ace William N. Leonard, “In these early encounters and on our own we were learning the folly of dogfighting with [the Zero]”. The first flight of the prototype A6M-1 took place on April 1, 1939, powered by a 780 hp Mitsubishi Zuisei 13 radial engine. During flight testing, all requirements were met or exceeded except top speed. This was quickly remedied by installing a more powerful engine (925 hp Nakajima NK1C Sakae 12) and a three bladed propeller. Flight testing was completed by July 1940 and the Japanese Navy sent 15 pre-production A6M2’s for combat trials in China. On 13 September 1940, the Zeros scored their first air-to-air victories when 13 A6M2s led by Lieutenant Saburo Shindo shot down 27 Soviet-built Polikarpov I-15s and I-16s of the Chinese Nationalist Air Force, without loss to themselves. In 1940 Claire Lee Chennault, leader of the Flying Tigers, wrote a report on the Zero’s performance. However, United States Department of War analysts rejected it as “arrant nonsense” and concluded the performance attributed to the Zero was an aerodynamic impossibility. At the time of the attack on Pearl Harbor 420 Zeros were active in the Pacific. The carrier-borne Model 21 was the type first encountered by the Americans. Its tremendous range of over 2,600 km (1,600 mi) allowed it to range farther from its carrier than expected. Its appearance over distant battlefronts gave Allied commanders the impression that there were several times as many Zeros as actually existed. The Zero quickly gained a fearsome reputation.With its maximum speed of 331 mph (532 km/h) and the ability to climb to 6,000 m in 7 minutes 27 seconds, it possessed an ascendancy over any other fighter type in the Pacific. Due to its excellent maneuverability and firepower, it easily disposed of the motley collection of Allied aircraft sent against it after war broke out in the Pacific in December 1941. However, the A6M possessed significant shortcomings, which would be revealed six months later when a virtually intact specimen was obtained. On June 4, 1942, Flight Petty Officer Tadayoshi Koga left the flight deck of the carrier “Ryujo” in his Mitsubishi A6M2 Model 21 fighter on an operational missionto attack Dutch Harbor in the Aleutian Islands. They attacked as planned but the intense ground fire hit Koga’s Zero in several places. One .50 slug severed the return oil line between the oil cooler and the engine and the plane immediately began trailing oil. Koga diverted to Akutan Island, 25 miles west of Dutch Harbor where he attempted an emergency landing. Mistaking a bog for a grassy surface he was killed when his Zero somersaulted and crashed onto its back. On July 10, a US Navy PBY Catalina, returning from a routine patrol, discovered the Japanese fighter upside down in the marsh. This single fighter was probably one of the greatest prizes of the Pacific war. Koga’s Zero was shipped back to the USA where it was repaired and exhaustively tested. The experts who evaluated the captured Zero found that the plane weighed about 2,360 kg (5,200 pounds) fully loaded, about half the weight of the standard United States Navy fighter. It was “built like a fine watch” and it soon became clear that the aircraft was designed purely for the attack role, emphasizing long range, maneuverability, and firepower at the expense of protection of its pilot. Test flights revealed it had several significant flaws that could be exploited by US Airmen. Meanwhile, Allied pilots had developed tactics to cope with the Zero. They were used first during the Battle of Midway, and later over the Solomon Islands. These improved tactics, added to the knowledge about the Zero’s weaknesses, were the reason why an increasing number of highly experienced Japanese aviators were lost in combat. 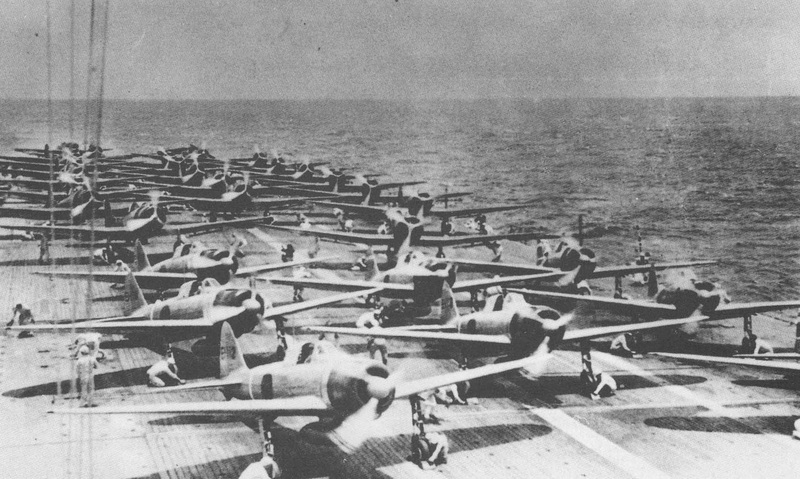 These unexpected heavy losses of pilots at the battles of the Coral Sea and Midway delivered a stunning blow to the Japanese carrier air force from which it never fully recovered. Engineering information gained by study of recovered A6M Zero wrecks as well as the flight test data from Koga’s plane led to the development of improved Allied fighters such as the F6F3 “Hellcat”. They began to arrive early 1943 and from then on the value of the Zero steadily declined. The installation of the Kinsei engine brought Zero-Sen closer to Allied standards attained at that stage in the war, but the overwhelming industrial capacity of the United States made it apparent that victory for the Allies had become a foregone conclusion. The airplane that started the Pacific war was no longer able to fight it—nor was the nation that conceived it. The Type 93 (or K5Y) was a pre-war design that has been widely used by the Japanese Army and Naval Air Forces. There are no records of any Japanese types being in service with the Dutch forces before 1942. During WW2, the NEI air force was re-built in Australia and consisted of N0 18 (Bomber) Squadron, No 19 and 20 (transport) squadrons and No 120 (Fighter) squadron. According to my information, there was no 17 squadron, either during WW2 or the postwar period. The only Japanese type in Dutch service during the postwar period was the Mitsubishi Ki.57 ‘Topsy’, used as a courier and mailplane. 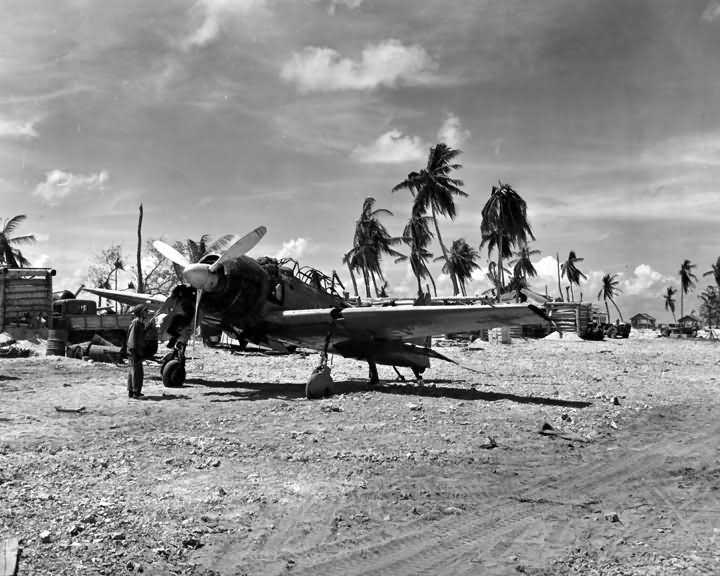 After the Japanese surrendered they left many operational airplanes behind at various airfields in Java and the other islands. According to the Indonesian Air Force handbook, the Indonesian nationalists had come into possession of a number of K5Y trainers. They used them in their first ever air attack against the Dutch, on July 29, 1947, when 2 Yokosuka K5Y’s dropped small incendiary bombs on the Semarang barracks. It seems to me that you are talking about these airplanes – and the AURI might well have had a “17 Squadron”. Thanks for the information Robert. yes, I’m researching K5Y in Indonesian Air Force, because that’s the only jaanese plane in Indonesia no record belong to any units. Some new information came my way. No problem Indra. And ARVA is a Dutch abbreviation for Artillery Reconnaissance Squadron.